Thanks for viewing, commenting and critiquing my photos! This is great--very striking image, with the silhouette against a lovely gradient of colors in the background. Nice sense of motion, both in the pedestrian, and in the slanted beams or trusses. This is really, really a great shot. Well done! 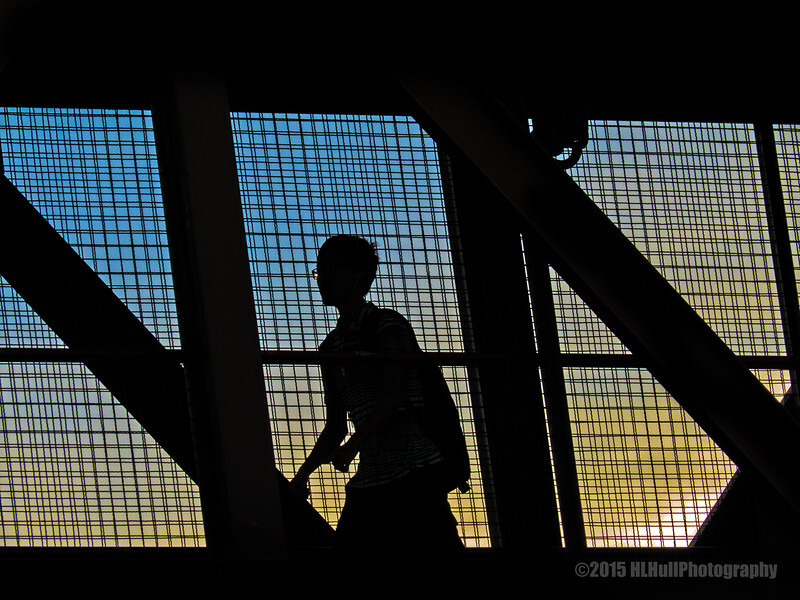 Neat shot; every time I see someone crossing on one of these overpass walkways, I want to take a shot.